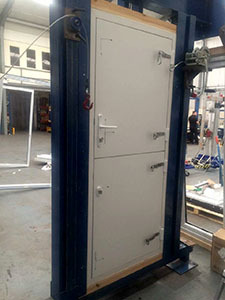 Force 8 have recently had our stable doors tested for PAS24 and we have found out that they have passed the test. 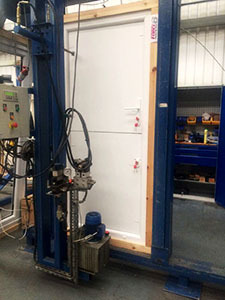 this test consists from a mechanical loading persepctive fitted with the Trojan 3D Heavy Duty Composite Door Hinges on. The PAS 24 test is carried out to a stringent set of rules created by UKAS (United Kingdom Accreditation Service). Top Sash Bottom door locking point latch and hook . 2 loads of 1.5 & 4.5Kn applied and held (OK).